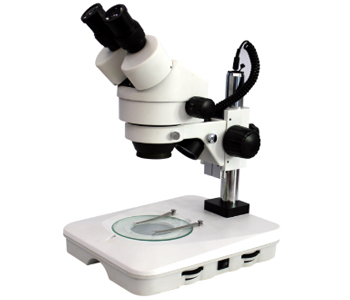 1, Zoom7045 Series Zoom Stereo Microscope High quality optical performance, various accessories and diversified combination specification. To meet high-precision requirements on modern biology, medicine, scientific research, inspection lines in modern electronics and other technology industries. 2, High quality optical system, and optical components coated with special coating created a high-quality optical system. 3, Standard magnification 7X~45X. Use optional auxiliary lens, the magnification can be 3.5X~180X. 4, Long working distance to create enough space for the uses. 5, Suit to ergonomic design, feel less fatigue when long time use. 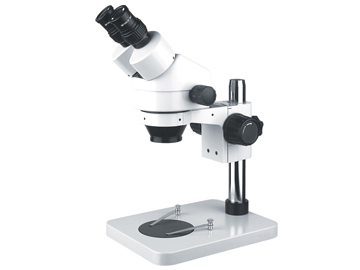 Zoom7045: binocular head , 45 ° tilt, continuous zoom lens 0.7X-4.5X, working distance 100mm. pupillary distance adjustment range of 54mm-76mm, depending on the degree of bilateral adjustable ± 5 diopter . A1 focus frames, focusing hand wheel adjustable elastic , lifting range 50mm.